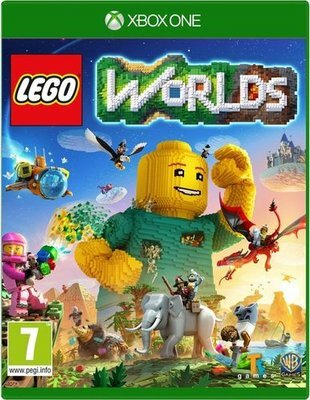 Alter any of the procedurally generated digital worlds using convenient landscaping tools and prefabricated LEGO® structures to build whatever you imagine. Discover hidden treasures in environments that range from fun to fantastic. Make your worlds come to life with customisable characters and creatures that interact with you and each other in unexpected ways. Explore with fun vehicles and creatures such as helicopters, bears, dragons, motorbikes and more. Unlock and play with your physical LEGO® sets in a whole new way. Play in your friends' worlds and share creations with each other.